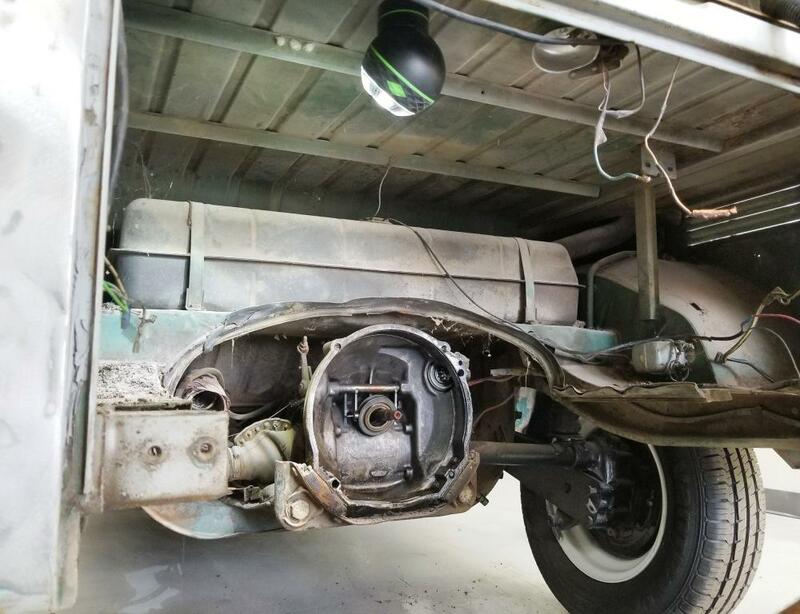 We’ve been on a roll lately with the theme of “cool stuff for your garage,” and we think you’ll find the next couple products damn near irresistable. 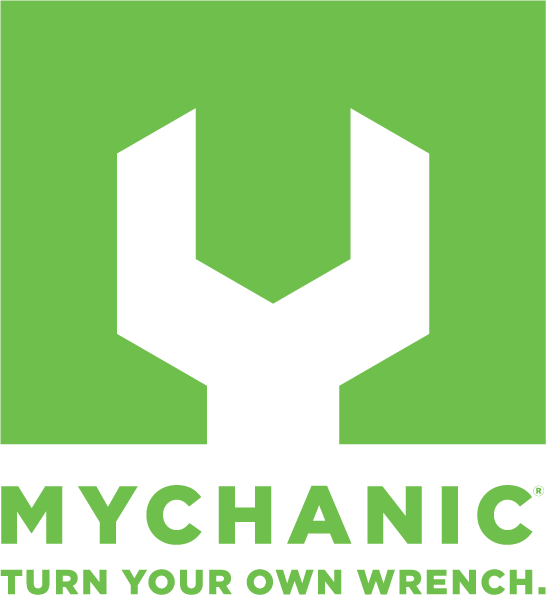 I’m always impressed with people who put their passion and creativity into developing new goodies for those of us who spend a lot of time in the shop… the guys from MYCHANIC are a great example. Basically, they’re DIY guys who design things that they’d like to have for their own garages. I had the chance to hang out with Gene (the industrial designer) and James (the business manager) at SEMA this year – and instead of talking business, we talked projects. 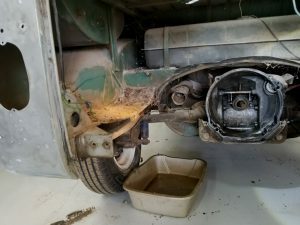 Specifically, all the stuff we’re working on, the hassles we run into (and how we’ve solved them), and the lack of creativity and innovation in quality garage gear. We might have even brainstormed a couple future projects! Although the guys from MYCHANIC have a full array of custom, functional solutions for gearheads, I’d like to show off a couple that were my favorites. 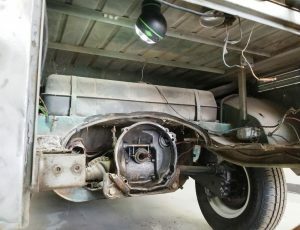 The first cool tool is called the POD LIGHT. Looks like something from a science fiction movie, but its inspiration came from the overhead reading lights in airliners. 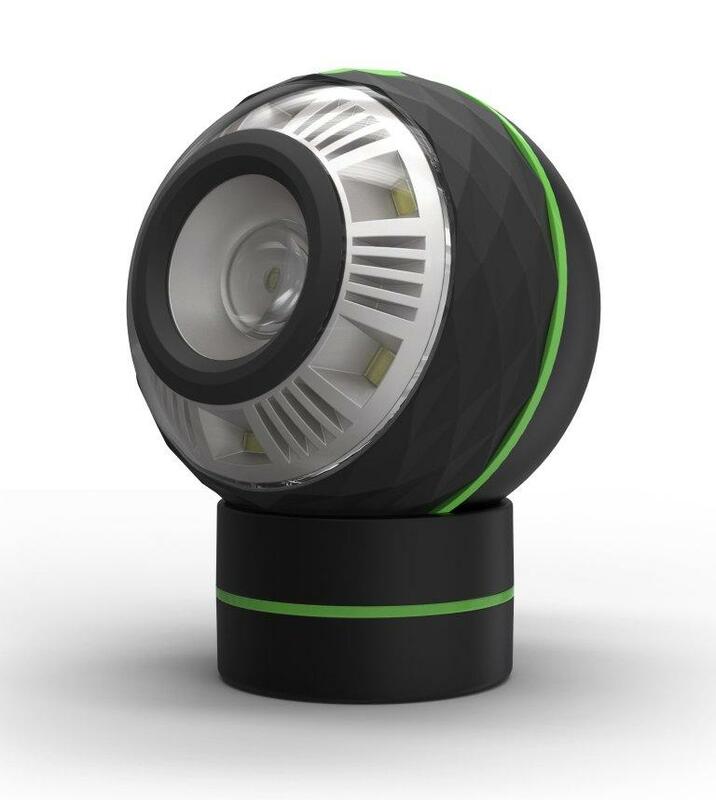 The POD LIGHT has a magnetic base, and the round lighted part is about the size of a softball. When you hit the integrated switch, you can cycle between three lighting modes, and WOW is this thing bright! But if you do a lot of wrenching, you know that a bright light does no good if it’s inconvenient to use, and this thing simply goes exactly where you want it. Plop the base onto any metal surface, drop the “ball” onto the base, and the light stays exactly where you point it. 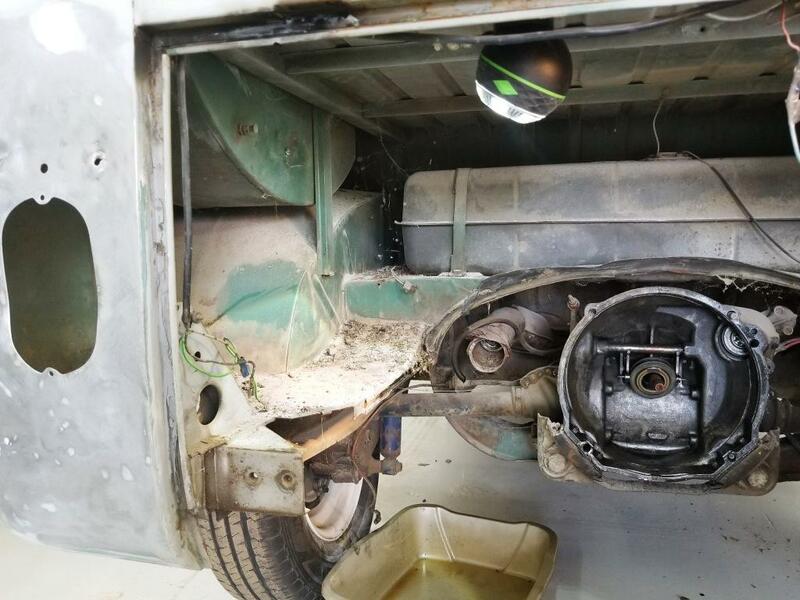 Jason (my sidekick here at Datsun Ranch) is currently restoring a ’65 VW Transporter, and he immediately commandeered the POD LIGHT to assist with his disassembly and cleanout of the old bus… He’s already determined it outperforms his heavier Dewalt light (which isn’t as bright and isn’t magnetic)… I may never get my light back! 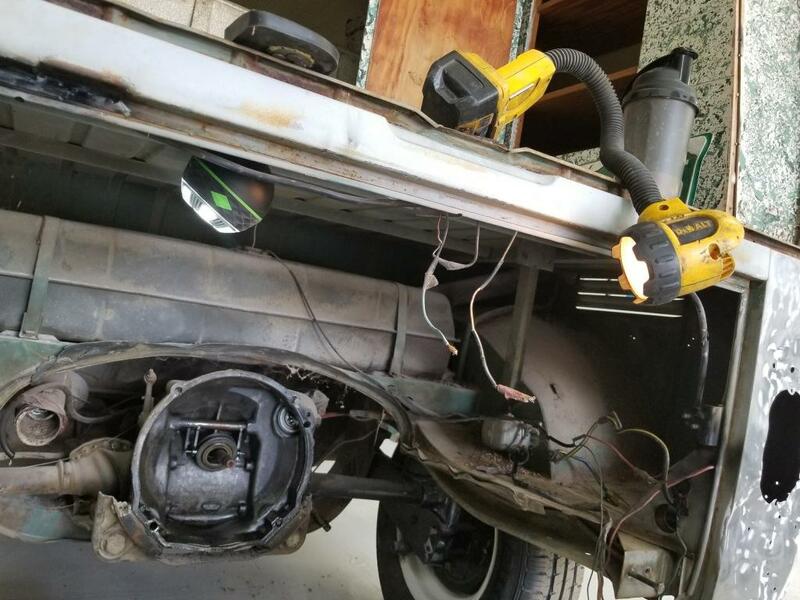 Here’s a great comparison – The POD LIGHT hanging out under the deck, pointing exactly where he needs it… and the poor Dewalt, which may just get relegated to the drawer from now on. 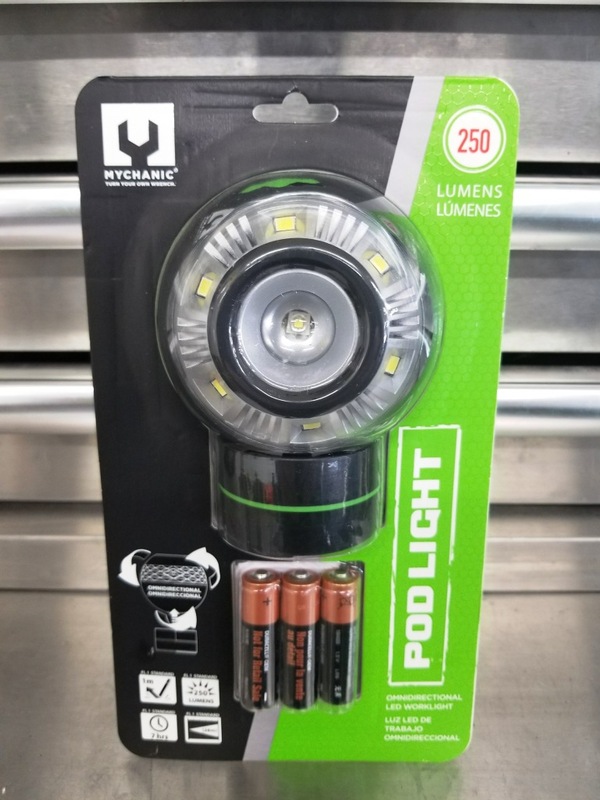 Simply stated, I can’t think of a better addition to your garage for $20 than the POD LIGHT. I’ll be ordering a few more to keep in our flatbed trailer, our tow rig, and inside the house… Go ahead and grab your POD LIGHT here! What else did the guys from MYCHANIC come up with? Well, click here to keep reading – You’re gonna love this next item! Oh, and don’t forget to order your POD LIGHT – the best $20 gift you’ll give (or get) this year!